ADOT has started projects along 34 mi. of I-40 west of Flagstaff and on 28 mi. of northbound I-17 just south of Flagstaff. Arizona Department of Transportation has started projects that will improve pavement along 182 lane mi. of Interstate 40 and Interstate 17 in the Flagstaff area, addressing deterioration caused by snow and snowplowing, the large number of freeze-thaw cycles the area sees each year and heavy use by commercial vehicles. With projects planned along 34 mi. of I-40 west of Flagstaff and on 28 mi. of northbound I-17 just south of Flagstaff, motorists should budget extra travel time and get the latest project information before leaving by visiting az511.gov or calling 511. On April 2 crews started rebuilding the westbound lanes of I-40 west of Williams between mileposts 156 and 161. Before the start of the winter season, crews rebuilt the eastbound lanes in this stretch. As work resumes on the $34 million project, westbound traffic on I-40 will cross over the median on a temporary road and share lanes with eastbound I-40 traffic through the project area, with one lane of travel in each direction separated by a concrete barrier. In mid-April, ADOT will start a pavement-improvement project on I-40 between mileposts 179 and 162 from Parks to Cataract Lake near Williams. This $35.3 million project includes areas between mileposts 167 and 172 where crews will fully reconstruct the roadway. Because of this, traffic will cross over and share lanes with opposite traffic, separated by a concrete barrier, between Garland Prairie and Pittman Valley roads. Work will begin in the westbound lanes. Crews are working from 5 a.m. to 6 p.m. Monday through Friday. Drivers can expect lane closures through the project area. 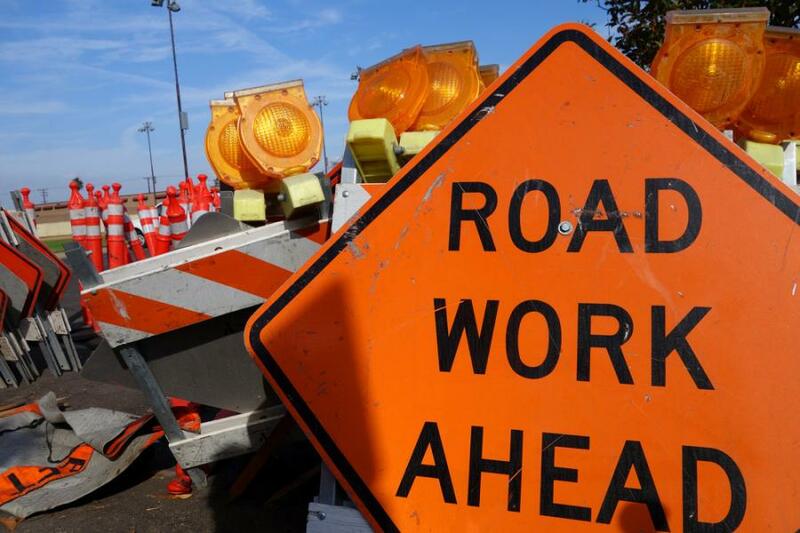 In the next several weeks, a project replacing pavement on the northbound lanes of I-17 approaching Flagstaff will get under way, with crews working from milepost 312 to milepost 340 near the I-17/I-40 junction. The project will reconstruct northbound I-17 between mileposts 312 and 314. This $24.4 million project includes replacing the bridge decks in each direction on the I-17 overpass at Willard Springs Road, near milepost 326. The majority of the I-40 and I-17 work is expected to be completed this fall, with additional work happening the following spring. Also, in April, restrictions will begin for work on the I-17/I-40 interchange in Flagstaff, revamping I-40 bridges over I-17 and Beulah Boulevard. This $10 million project is scheduled to wrap up by the end of the year. Later this year, crews will return to put down the final layer of asphalt, known as friction course, on I-40 between Parks and Riordan from milepost 179 to 191. This will complete a $13.9 million pavement-improvement project that began last summer.